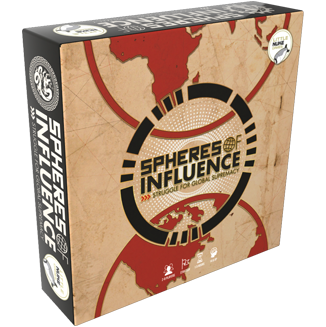 Spheres of Influence: Struggle for Global Supremacy is a free-for-all area of control game that combines the thrill of empire building, cut-throat diplomacy, and the daring opportunism of classic war games with a fast-paced dynamic turn structure that keeps players constantly on their toes. Set on a modern world map, up to 8 players compete for the world’s land, sea, and, perhaps most importantly, oil. Learn more about the game here. PACING – We want to get players in the action and often. BALANCE – All players from the onset, despite different abilities or starting circumstance, should have the same ultimate opportunity to win. VARIETY – Beginning each match should feel like entering a new world where options are plentiful. CONSEQUENCE – When a match is done, players should be able to pinpoint the exact moment, the critical battle, the great triumph or misstep that won or lost them everything. Games should create high stake moments where everyone intuitively understands the significance of an event’s outcome.